Some bands are the soundtrack to your youth, they’re with you throughout some of the earliest, most defining moments of your life, but can get lost by the wayside when you throw away your Pogs and England ’96 big-head figures collection. Some, however, will be with you forever. They’re the bands who take pride of place in your memory, who can outline a summer and who you can rely on to be the antidote to any bad day. The sort of bands you want to see in the most intimate venue with sweat dripping from the ceiling, knowing that one day you might see them at your favourite festival. Demob Happy are all of the above and more. What separates Demob from the pack is the belief they install. There is no segregation between band and audience, it’s always a night of ‘we’re in this together but not sure quite sure where it’s going to end’. Consequently, this stronghold and unpredictably creates an excitement and connection that makes you want to see them live again and again. For me, that’s exactly what I want from a band. Their arsenal of tunes is as enviable as anybody’s at the moment, with a longevity that is unquestionable. Their debut LP is the most anticipated for a long time and I can’t wait for the impact it will make. ‘Young & Numb’ as a single will act as the perfect bear trap to capture new fans. However, it’s the engine room of their live set that gets my attention. Tracks like ‘Strange Things’, ‘Rattlesnake’ and ‘Suffer You’ have the same endorphin-inducing qualities that could instigate major crossover success on both sides of the Atlantic. B-side ‘Fizz’ sounds like it was recorded in Dave Grohl’s garage on the same day as the Foos’ ‘Alone + Easy Target’ & ‘Weenie Beenie’. Subsequently it’s no surprise that most of the mumblings in the Brighton Lanes at the moment involve this band. It’s only a matter of time before Demob will be on the cover of NME and one of the most lauded bands in the country. Last February, I saw Royal Blood at the Tunbridge Wells Forum and it was clear that they were about to go stratospheric. 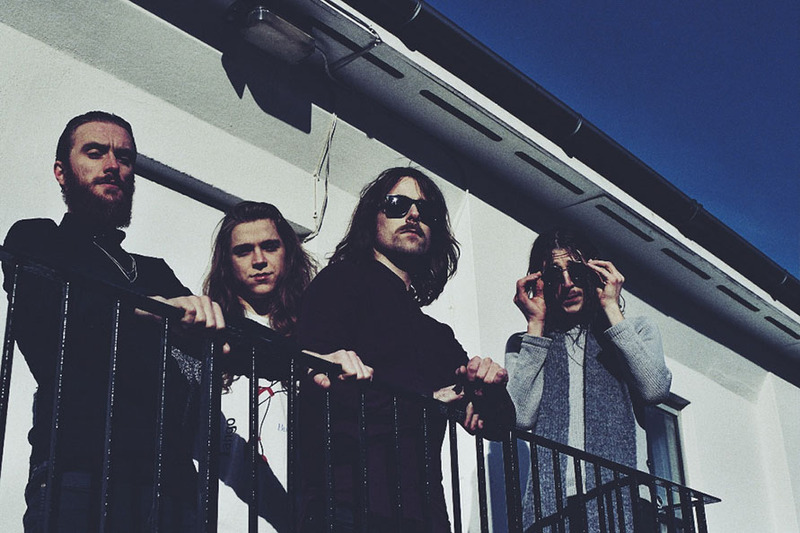 Demob are on a similar path and their upcoming handful of shows may be the last times they play venues this size.